Natsume Inc., a worldwide developer and publisher of family-oriented video games, and Rising Star Games, European video game publisher and long-standing partner of Natsume, today announced that Harvest Moon: Light of Hope Special Edition is now available digitally and at retail for Nintendo Switch and PlayStation®4 in North and South America for $39.99 USD and is rated E for everyone. 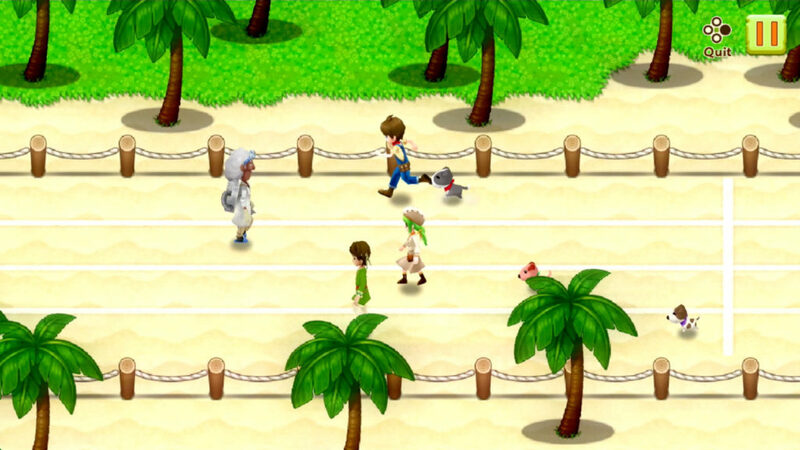 In Harvest Moon: Light of Hope Special Edition, players begin the game as they set out looking for a fresh start and new surroundings. During their voyage, their ship is hit by a storm and goes down. As they drift into a small harbor town, now in a shambles from the storm, it will be up to the player to help rebuild the town and save the lighthouse…but it won’t be easy! Nevertheless, with some hard work growing crops, tending livestock, and gathering materials for repairs, players will be able to make new friends, start a family, revive the lighthouse, and save the town! For North American players, Harvest Moon: Light of Hope Special Edition is available for $39.99 at GameStop. View more info about Harvest Moon: Light of Hope Special Edition for Nintendo Switch at GameStop HERE and the PlayStation 4 HERE. For players in Europe and beyond, Harvest Moon: Light of Hope Special Edition is available at selected retailers and will release at the end of June. In addition, a limited run of a deluxe release, Harvest Moon: Light of Hope Collector’s Edition is also available for pre-order. The Collector’s Edition contains all of the exciting content of the Special Edition, and also includes the full Season Pass, a coffee mug, a tote bag and a selection of pin badges; all lavishly presented in a barn-shaped presentation case and will be available with the Nintendo Switch version and PlayStation 4 version. Harvest Moon: Light of Hope Special Edition Season Pass grants access to all four upcoming DLC packs at a discounted price. The season pass is $9.99 and is available today. Harvest Moon: Light of Hope Special Edition Bundle is available through the PlayStation® Store and Nintendo eShop; it includes the full game and the Season Pass for $49.99.